If Facebook is the main platform you use to market your music (and that is true for a LOT of DIY musicians), you need to know how the Facebook algorithm works. The algorithm decides what users see or don’t see so this is essential listening for all DIY artists. 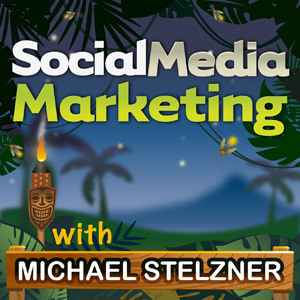 Today, we’re heading over and listening to the Social Media Marketing Podcast. This episode of the podcast features an interview with Dennis Yu, a Facebook ads expert who knows this stuff inside out. Dennis gives us the low down on how the algoritm works and how you alter your Facebook activity to make sure more of your fans see your stuff. Do You Have A Musical ‘Calling Card’?